The hot news this afternoon comes from Cnet. 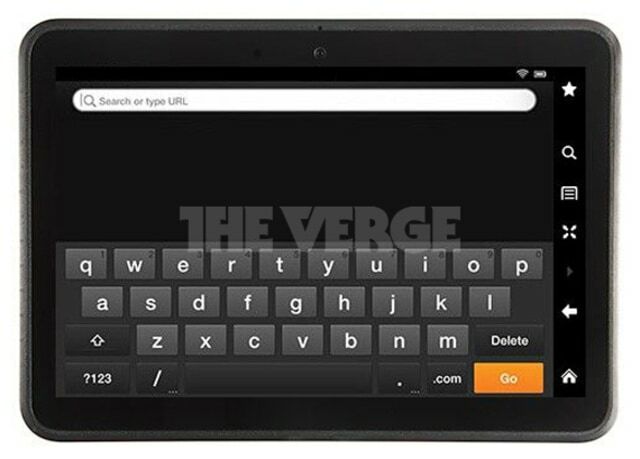 According to their sources, Amazon has 2 Kindle Fires to unveil next week, and neither one is going to be the 10" model that I predicted a few weeks back. Amazon plans to double down on the 7-inch tablet market with two new Kindle Fire models, CNET has learned. Despite speculation that Amazon was preparing a larger 8.9 or 10-inch version, the company will only unveil a new 7-inch Kindle Fire and a slightly revamped version of the original tablet in an event scheduled for next week, according to a person who has seen the products. Here's my problem: I cannot find the FCC paperwork for the second Kindle Fire, so I have no proof there is a second one. When I read the Cnet story this afternoon I went to the FCC website and started a new search for all the possible filings that might belong to a new Amazon device. I won't give you all my tricks and tips, but I do know of a few ways to thin the search results from the thousands of filings each month down to a few dozen. I found one set of paperwork which might belong to a Kindle Fire, and I also found a set of paperwork which I think belongs to a Kindle ereader. But I did not find paperwork for a second Kindle Fire. Now, I might have missed it, it might not have been filed yet, or one of my shortcuts backfired. But all I know is that I didn't find evidence of 2 KF tablets. I have no proof there is a second one, and in this case the absence of proof is pretty strong evidence that it doesn't exist. On the other hand, I could be wrong. Perhaps Amazon didn't see the need to file a new set of tests for a revamped device? I really don't think that's likely; my basic understanding of FCC regulations suggest that it would be required. But all I really know is that I didn't find the paperwork. And so I have to add this rumor to the leaked KF images from earlier this week. I won't believe them until I see real photos. If that second Kindle Fire isn't on stage on Thursday, you know why. Apple, Publishers in Secret Talks to Settle European Anti-Trust Case? Will Amazon Put Ads on the Kindle Fire? Can Cnet be referring (without knowing) the same Kindle Fire with and without ads? It’s possible, but I don’t think Cnet’s source would have been unclear enough to confuse 2 models, 1 with adds and 2 different models. Sorry but I can wait until next week…what is the hurry? This tech stuff changes constantly and today’s toy is old almost before you hit the keyboard Nate….so take a chill pill and just give us your honest review as always. No need to play Walter Winchell or Drudge! But sorting through hardware rumors is Nate’s superpower! What about the same model with different memory amounts. They can’t think that 8 gigs is enough forever.